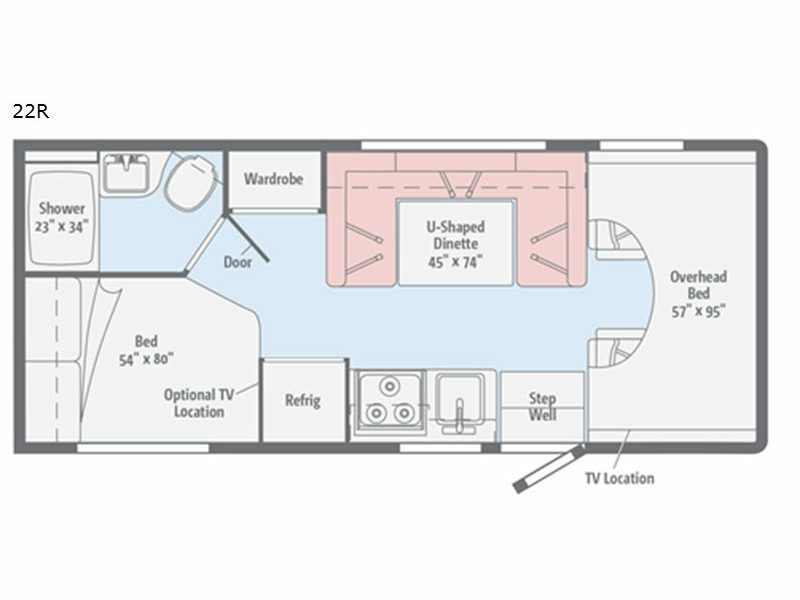 Imagine an RV with an efficient layout for your family's traveling needs. 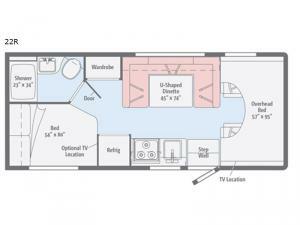 Now imagine this coach offering you a U-shaped dinette for playing games, dining and sleeping if the rear bed and overhead bunk aren't enough space. You will surely appreciate the on-board bathroom so you can easily get ready for any adventure that is planned for the day! The kitchen includes the amenities that will allow you to cook while traveling, and the wardrobe allows you to not have to iron anything. This unit is also available with a Ford E450 chassis if you choose that option which will change a few specifications.